Discover Molitor through its street art works ! 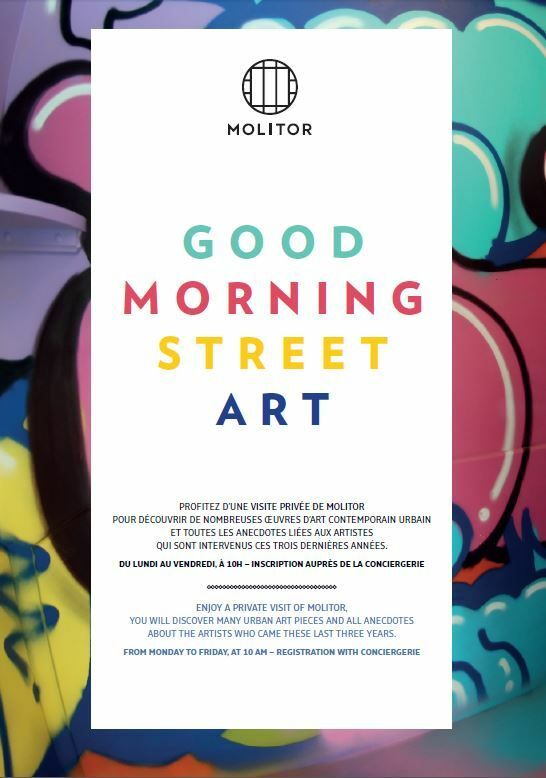 Enjoy a private visit of Molitor, and discover many urban art pieces, along with all anecdotes about the artists who came these last three years. Exclusively reserved to the hotel guests. From monday through friday, at 10am - Registration with conciergerie.